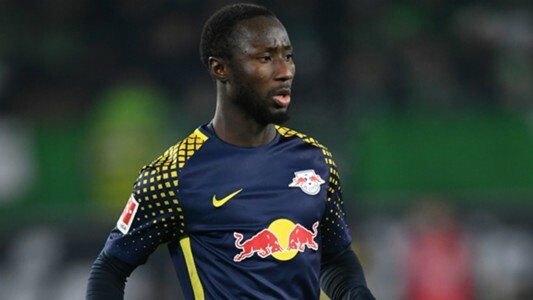 RB Leipzig coach Ralph Hasenhüttl has insisted Naby Keita will complete the season with the club. We could remember a deal has been agreed between Liverpool and Leipzig for a summer move, but because of the sale of Philippe Coutinho to Barcelona, Liverpool has changed their mind and they want to bring Keita to Anfield this month. But RB Leipzig coach has come out to say he wants to keep Keita at the club until the end of the season and believes the Midfielder will want to finish the campaign strongly. "He will play at the weekend against Schalke 04 and hopefully he does well. That's the only thing I really care about." "I think that Naby wants to finish the season in a good way in Leipzig. He wants to leave a good impression." "He probably wants to do some self-promotion before he leaves. He does not want to leave without showing all his qualities since he had some weak games in the first part of the season." The Question is 'Since Liverpol don't have a replacement yet, why did they let Coutinho go'?